I have to admit a guilty pleasure among hard-care whovians, I like the 1996 TV movie. It's not perfect and after reading the book made about the production, it's a miracle it was even made at all. 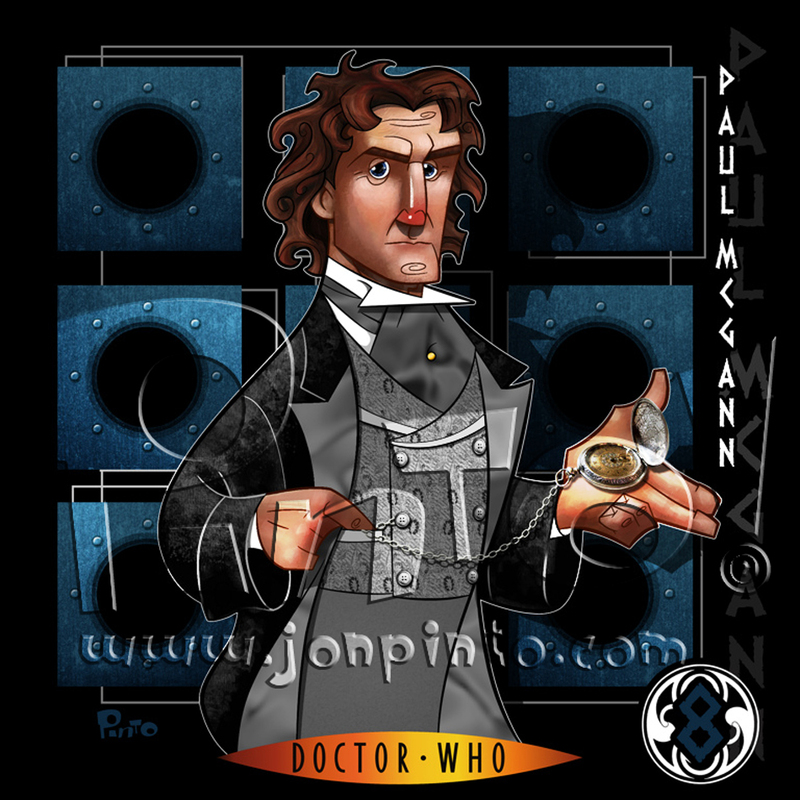 Now I don't like everything about it but to me, Paul McGann was PERFECT in his first (and only) outing as the Doctor! Usually it takes a few stories for an actor to "settle in", but that does not seem the case here. To add to the brilliant casting of the Doctor, is the inspired re-design of the TARDIS interior! For the first time it really did seem infinite and lived in. Now matter what you think of the movie, I firmly believe that the new, current series could not have been made without this happening first. So there! Agreed. The moment he got on screen you could tell that he was fit for the role. His portrayal of the Doctor was brilliant, to say the least. The thing that I'm curious about is if they'll bring him back in the newest series-whether it's through flashbacks or whatnot. It seems logical that this was the Doctor who fought in the 'Last Great Time war'. I hope they do give us more of an insight into the Time War, and show more of Paul Mcgann's acting. 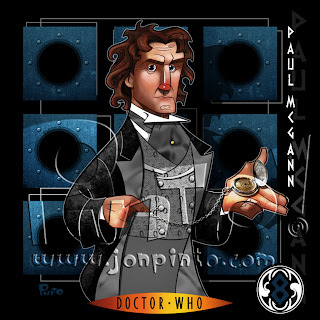 I'm just laughing to myself as me and my mates just did our first podcast and we decided to start wi favorite, Doctors/Actors/Eras, and my favorite actor was Paul McGann. And as we discussed him, all of what you said was mentioned. He was the Doctor from the first moment on screen. Fabulous. Thanks for this amazing art work. I'll be posting it soon on our blog, DirtyWhoers.com. Your work is amazing. Thank you for it!